Duborskian rice (Oryza sativa): growing, planting, caring. An old russian heirloom - well adapted to "dry" situations, and resistant to a slight frost too. 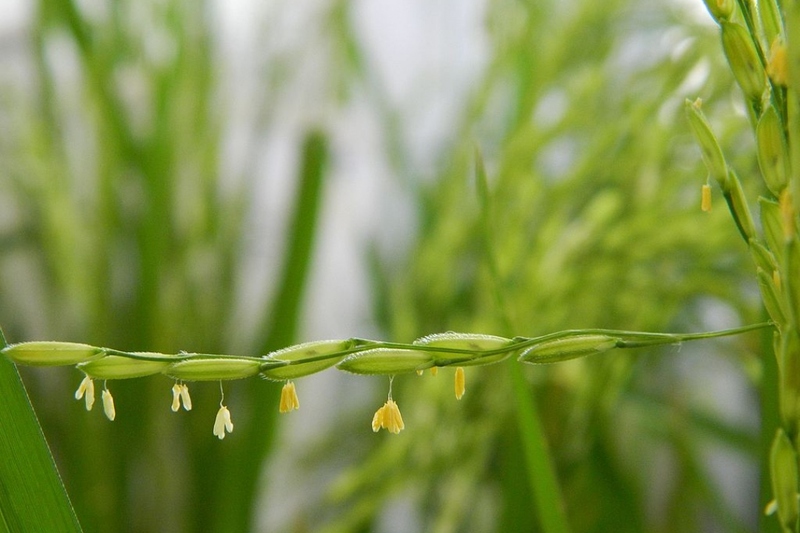 Try this rice - son in the Spring, harvest in the summer ! Sow in open soil, in early spring, in rows spaced 30 or 40 cm apart and in sunny exposure. Keep the soil slightly moist until seedlings appear. After that, you might need to keep an eye on your plats, and water if needs arise. Harvesting is usually done in the summer - about 4 months after sowing, or 30 days after flowering. Rice is harvested by mowing the whole plant, or by cutting only the panicles. The rice is then beaten, and dried. Have fun !